A sports injury can happen any time to anyone and has several causes, whether from a failure to warm up properly or simply falling or twisting. The most common injuries occur to the muscles, joints, and ligaments of the ankles, knees and elbows. Less commonly, fractures can occur. It is not necessary to be taking part in a particularly vigorous sporting activity either. Participants in the more sedate pastimes, such as crown green bowling, have been known to pick up injuries through bending or repeated movement of the bowling arm. When an injury occurs you will probably immediately feel pain and you will notice swelling or bruising in the affected area. If this is the case you should of course immediately stop. Carrying on at this stage will risk making the injury worse, which in turn will result in a longer recovery time and even more complicated treatment. Sometimes though, the symptoms only become obvious sometime after the initial injury and this may have led you to carry on with your activity, risking further injury and consequently a longer recovery time. Once you have established the nature of your injury you then need to concentrate on your recovery. Hydrotherapy has long been acknowledged as one of the best natural methods of pain relief and treatment of sports injuries and is recommended by physiotherapists and doctors. The increased buoyancy, coupled with an ambient water temperature, allows you to move more freely than you would be able to out of the water and at the same time can help to increase blood circulation to fatigued muscles. The soothing yet invigorating movement of warm flowing water greatly helps to reduce pain, ease muscle recovery and promote faster healing. It does this by facilitating the reduction of tension in the muscles and joints so helping you to move and exercise more freely through the water. You can have all these healing benefits with your own home swim spa. Our hydrotherapy swim spas incorporate the very latest in variable speed multi-jet and hydrotherapy jet technology to give a soothing massage to the whole body and in doing so helps to reduce muscle fatigue and pain. By varying the intensity and speed of the flow of water you can build resistance and gradually build up your strength of movement. If you play sports regularly or if you just want to feel the luxury of a swim spa massage after a tiring day, consider having a swim spa installed. 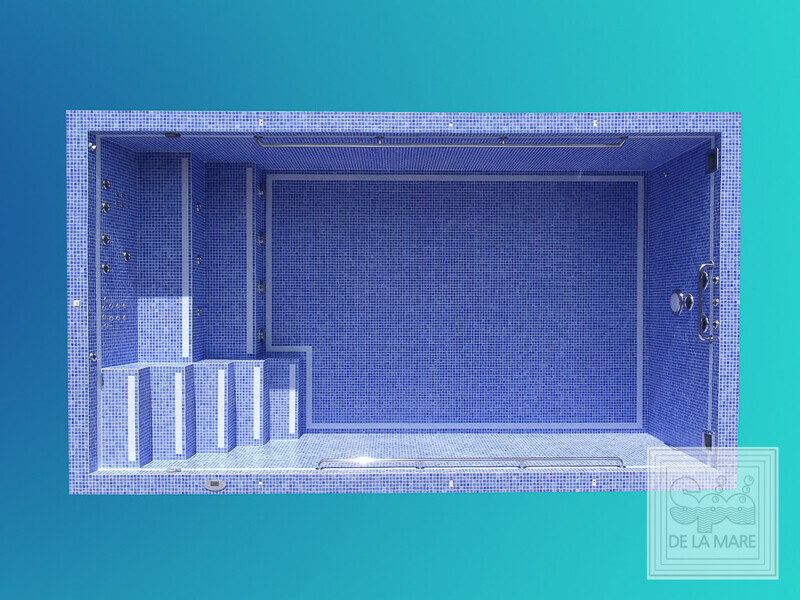 Our bespoke swim spas are designed and built to a very high specification for a range of property types and sizes. With your own swim spa you will probably never need to trouble your physiotherapist again.